Bruce has played and toured for years with leaders like Ronnie Earl, Delbert McClinton, John Hammond, Butch Trucks, Gregg Allman, and Jaimoe, to name just a few from the extensive list of musicians he’s shared the stage and music with. Bruce Katz is a four time (2008, 2009, 2010, 2015) Nominee for the Blues Music Award (W.C. Handy Award) for “Pinetop Perkins Piano Player of the Year”, selected by the Blues Foundation of Memphis, TN. He is a member of The New York Blues Hall of Fame. 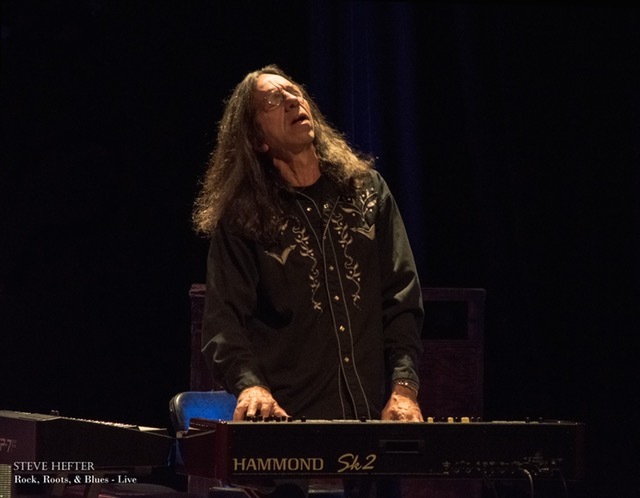 He’s a legendry Keyboard player who has recorded on over 70 albums, including eight of his own as leader of The Bruce Katz Band. While touring with the Allman Brother’s on piano he played side by side with Gregg. Bruce taught for 14 years at The Berklee School of music, he continues to teach private lessons in his studio in Woodstock NY. Bruce is a Hammond Artist at Hammond USA. He brings his special sound and talent to Dreams!